A recent example (see link below) is highlighting some potential legal risks of a failure to obtain adequate app advice and cover all areas of app law when creating or selling apps involving an interactive user interface. Privacy law is a major part of app law. App developers or people looking into selling apps need to be conscious of complying with Australian privacy law when designing their app IP and the mechanical components of its user interface. The privacy law is probably vastly different to what most lay people would expect. Further, given that most mobile apps these days can be downloaded and used anywhere in the world, app developers cannot afford to confine their app law protection to domestic jurisdictions – app law coverage in protecting an app idea must extend internationally. A good app lawyer will be able to achieve all of the above, as far as legally possible, through tailored, strategic terms and conditions for users that go beyond a simple website display and reference and actually form a binding agreement. They will also be able to do this without scaring a potential user off. 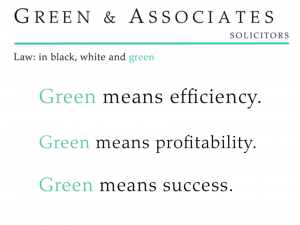 Contact Green & Associates Solicitors for a free legal consultation and some top-tier app advice from an affordable lawyer.